Owing to the rich industrial experience and expertise in this business, we are involved in providing supreme quality array of Glazing Tape. With the support of adroit and experienced employees, we are occupied in presenting an optimum quality of Adhesive Glazing Tape. The offered variety is prepared making use of premium grade material. Offered product is available in different sizes. These products are highly adhesive and accurate in dimension. Easy to assemble, no drilling, riveting, welding or screw fastening. » Damps vibration and absorbs impact. » Tolerates differential thermal extortion or contraction. » Excellent seal against water, moisture and dust. » Quick and easy to apply, saves time and labour costs. 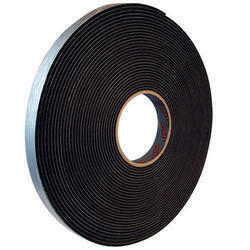 Structural Glazing Tape is widely used for Glass Glazing application. It bonds glass with any metal and is widely used in construction works for the advantages like strong bonding, consumes less time and hence saving labour cost. Available In Grey Color And having 2.3 mm Thickness. VHB tape is using a high performance adhesive which has long term holding power. VHB tape is ideal for use in many interior and exterior application. In many cases, they can replace rivets, spot welds, liquid adhesives, and other mechanical fasteners. 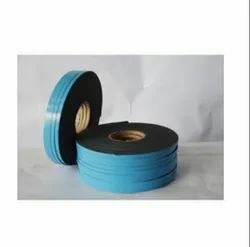 Structural Glazing Tape or Glazing tape used in fixing Aluminum Channels an also used in fixing glass in high rise buildings, commercial and residential buildings. Its also used in facades.